The four-member band, led by noted pianist and composer Merlin D’Souza, is performing in Kerala for the first time. 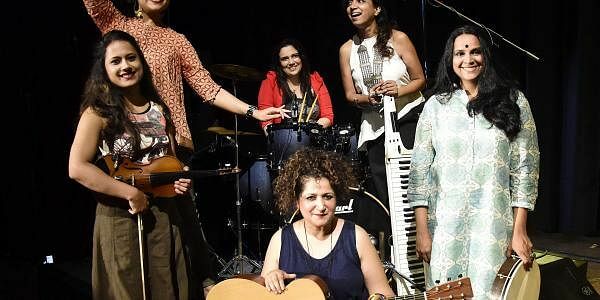 THIRUVANANTHAPURAM: Indiva, the Mumbai-based all-woman band, will perform in the city on Tuesday. The four-member band, led by noted pianist and composer Merlin D’Souza, is performing in Kerala for the first time. “It’s our first time in Kerala and we will be singing a Malayalam song as well,”says Merlin. “Each one of us will be representing an element from earth, water, fire, wind and sky. Through our music we will be introducing a sixth element - vibration,” she says. The other members of the band are Vivienne Pocha (vocalist), Shruti Bhave (violin) and Chandana Bala Kalyan (vocalist). Joining them for the concert will be Sapna Mane on drums and cine actor and noted kathak artist Aditi Bhagat. The band will be performing at Tagore Theatre at 6 pm and the event is open for the public.